A Guest Post By Nellie Blogging is not a very profitable endeavor. It is not going to make you rich or famous. 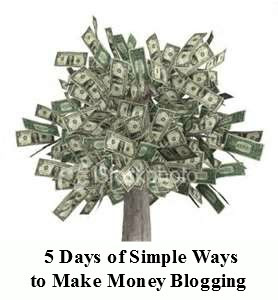 But, that does not mean that you cannot make money through your blog. All you need to do is not set your goals too high. 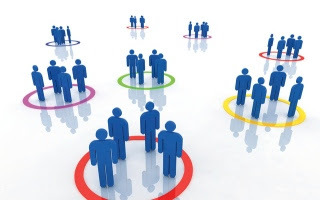 Blogging relies heavily on getting a lot of viewers to repeatedly come back to your blog. This takes time and a lot of marketing. However, once you have your viewers, you may start to monetize your blog. This is the one that most people are going to suggest to you. Affiliate advertising is now big business which is why so many affiliate marketing companies have sprung up. If you are just starting out then you should try Google AdSense first. It is easy to use and it does not take a lot in order to gain acceptance to the program. You may also ally your AdSense efforts with your Google analytics. You may use both to make sure you get as much money as possible from your clicks. Consider writing the occasional blog post that is a review of the things that your affiliate adverts sell. You could also try using the same keywords that people searching for your advertised products would use. This may help to draw them to your blog, which is good because they are the ones that you want to visit your blog so that they click your affiliate adverts. This is actually a lot easier than it sounds. The affiliate adverts that you place on your site are simply small adverts in a compact form. You can create your own adverts that lead back to your eCommerce page or back to your eBay store. 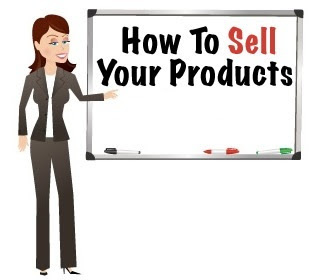 You do not need to direct-sell the products on your blog, you simply use the adverts you place there as a way of getting people onto your eCommerce site. There is the added benefit that the adverts that you place may be as large and as plentiful as you like. You may also gain more traffic via the links if you tell the people on your blog that the adverts are for your items and are not simply affiliate adverts for other companies. There are a few websites that will pay you for writing positive reviews about products or services. You are often paid based upon how much traffic your blog gets. You should be wary of these sites and approach them with a high degree of skepticism. A lot of them are just looking for ways to screw people over, and many of them will offer you nothing more than cents for what is essentially hours of your work. There are very few people who are going to willingly give you donations just because you wrote a blog post or two. But, it is not unheard of for people to be so moved that they happily give you money for your blog post. You need to use the PayPal donation widget, and you need to tell people what it is. Tell people that you work for free every week, and tell them that if they would like to make a donation to keep your blog running then they may do it via the PayPal donation widget. It is a widget that people may press and it takes them to a PayPal page. 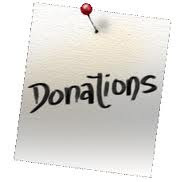 This page allows the user to donate any amount they desire; even if they do not actually have a PayPal account themselves (it allows people to enter their card details into it). This is a very hard thing to pull off, as you will have to hide part of your blog posts from your readers in order to sell what you write to them. However, paid subscriptions to blogs are not unheard of. If you happen to be an expert in a field or if your name holds some notoriety then people may be willing to pay to read what you have to say. Just make sure that what you write is of a quality worth paying for. You could use your blog posts in order to sell a newsletter subscription. People will see your blog posts and may be willing to pay to receive extra advice or information via the newsletter. This may be easier than selling a subscription to your blog post as your blog will give people a clue as to what to expect on your newsletter. However, people will not know what to expect from your blog post if they are not allowed to read your posts first. Hi! I'm Nellie Aldridge and currently belong to the students body. I'm always eager to find out something new and become familiar with it. I love to deal with researches and want to develop in the field of writing. Moreover, I started moving in this direction! I work as a writer for Homework-Desk.com, which arranges everything in the way even programming homework becomes clear. If you have any questions concerning education, I'm always ready to help. The article is good and I fine this point more interested as best Sell your own products via the blog.. Thanks for this tips, this article is good and give me an advise on what to do with my blog! After reading this article I am feeling really good. Your way of writing is really cool man.